17036 Comunidad De Avila, Lutz, FL.| MLS# T3135074 | Westchase Real Estate - Westchase FL Homes For Sale - Westchase Local Experts. 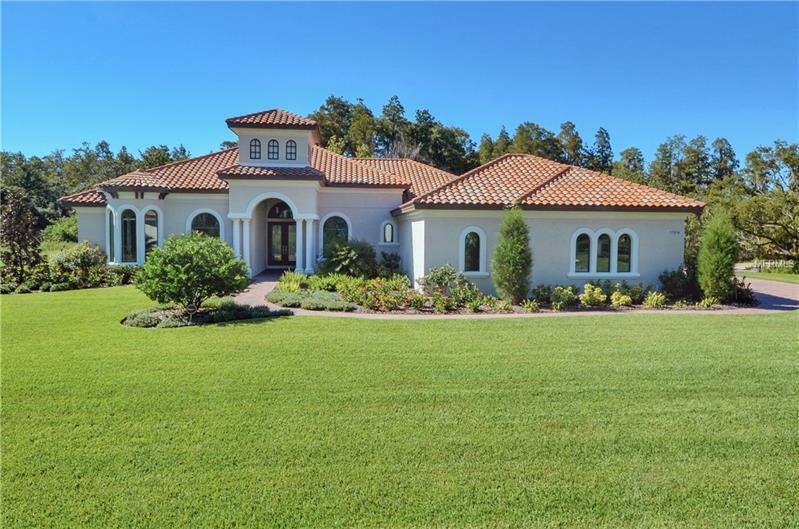 Stunning single story, Mediterranean Arthur Rutenberg custom "Capri" home having luxurious appointments throughout. Situated on a private conservation home site, in Comunidad de Avila, in Avila, Tampa's premier, gated Country Club Community. Eye-catching architectural design and details inside lend to this home's distinction. The, bright, open, split bedroom floor plan offers 4 bedrooms, 3 full & 2 half baths, formal office, separate Living Room, Dining Room, large bonus room, gourmet kitchen having SS appliances, Quartz Counter tops, opening to the bright Family Room. The luxurious Master Retreat with large closets and Master spa bath are the ultimate. Most rooms have the tranquil views of the private conservation area in the rear of the residence. Beautiful landscaping as well. Soaring ceilings, crown moldings, abundant storage space, walk-in closets, art niches, wet bar, surround sound, water softener, over-sized 3 car garage with the capability of having 6 cars tandem. Close to I-275, Veteran's Expressway and St. Joseph North Hospital, AND in the Steinbrenner school zone. This home is perfect and move in ready! !